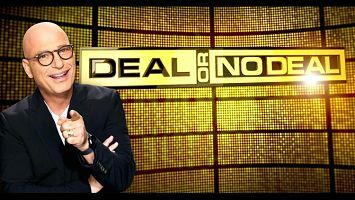 It’s a Big Deal that NBC is re-opening the case with a revival season of hit game show “Deal or No Deal”. 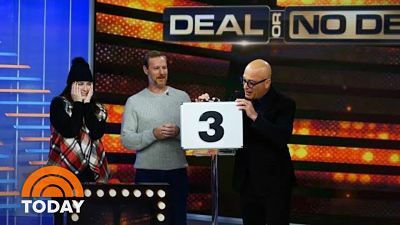 Howie Mandel is back as host, and he couldn’t be more excited to help give deserving people a shot at a million dollars. “Case” in point: a recent behind-the-scenes special that aired on CNBC. That’s “Deal”’s new home, starting Wednesday December 5th at 8pmET. Mandel told the incredible story of how he got the job on the original run. He and the producers gave plenty of insight on how they cast the contestants and put this show together. The show is being taped at Universal Studios Orlando this time around, and there will be a female banker this time. And a stunning 22,000 women auditioned for the coveted 26 model spots. Mandel was Emmy nominated as host for both the primetime and daytime versions. Since the show ended nearly a decade ago, he’s stayed in the NBC family as a judge on “America’s Got Talent”. But the “Deal” stage is where he belongs. He’s ready for America to experience, what he believes will once again be “Don’t Miss Television”. He’s not wrong. Recently, Mandel appeared on the Kathie Lee & Hoda hour of the “Today” show. A random person in the Rockefeller Center crowd was picked to come inside and play a shortened version of “Deal”… with Howie… for the chance to win $10,000. Kathie Lee, Hoda and guest co-host Shania Twain quickly realized that when Howie is doing “Deal”, you’ve just got to step back and let him do his thing. Honestly, it was some of the most compelling segments on morning television I’ve seen in a long time. The new “Deal or No Deal” will likely add some twists and surprises to flavor things up a bit. But the way this 2.0 version will work is if the formula isn’t drastically screwed with. The game works. The contestants and amped-up Mandel add a little melodrama, but the game is the reason why audiences instantly fell in love with it during a trial week of episodes in 2005. In order for viewers to keep coming back week after week… again… the game play still has to work.